The beautiful boats are waiting for their adventure. 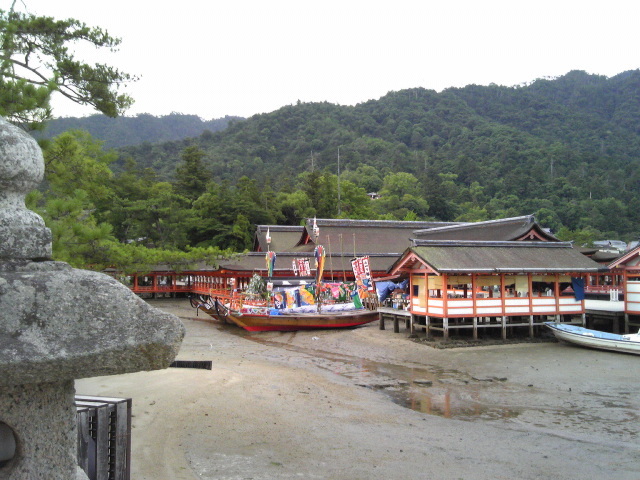 Kangensai is held at the Itsukushima shrine tonight. My son can not wait to see it! And more treat from the sky ... 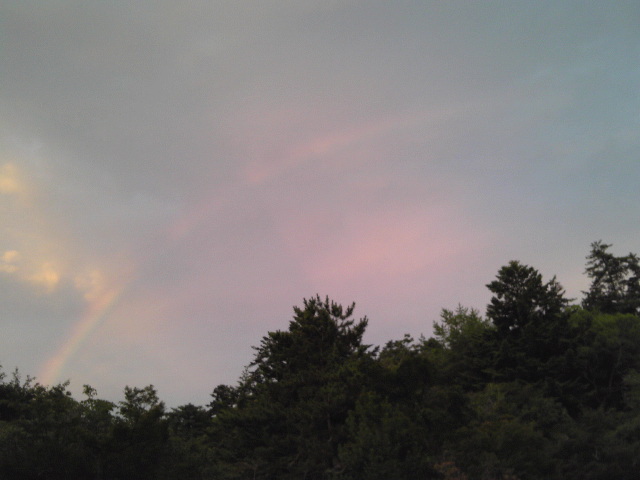 There is a rainbow! My son is running around all day long、 and I am exhausted by the end of the day. 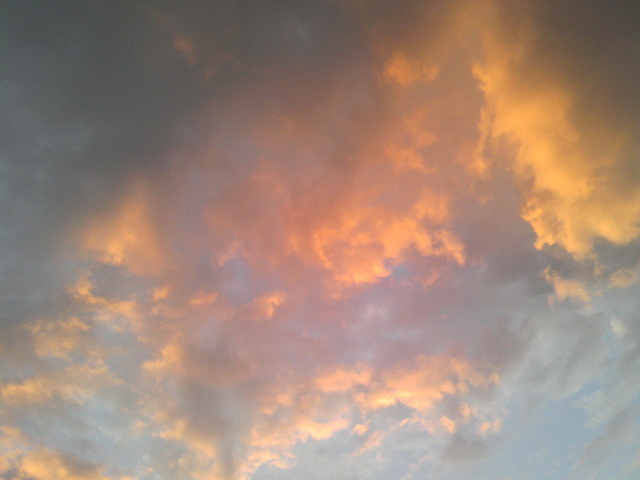 Today、 I have a beautiful treat from the sky! 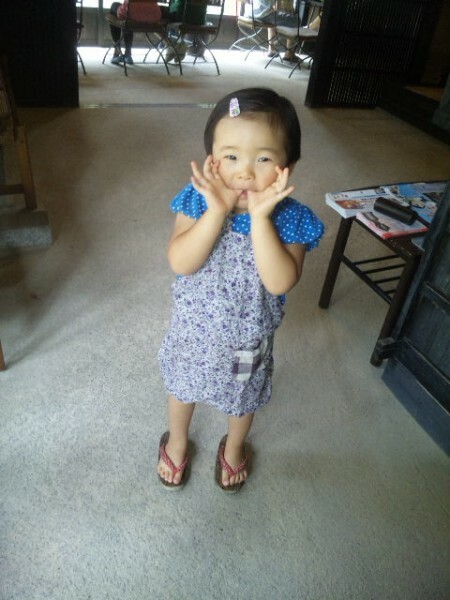 Our good helper 3-year-old Akari is welcoming our guests. 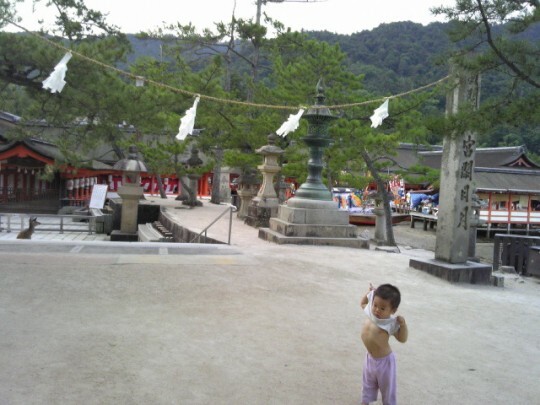 It's been very hot this summer! 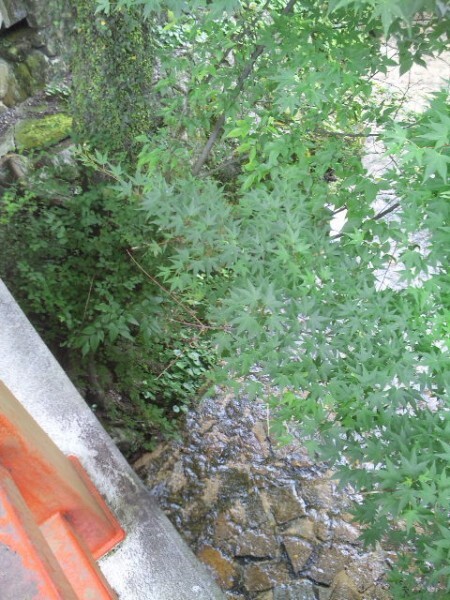 We feel thankful to be located near the Shiraito river.